There are so many questions about this I’m surprised we don’t have a thread. The pics I’m posting are not mine but they are very clear and straightforward. This is a pretty simple task, it took me about 90minutes to install the spacers and get the rig back on the road. I would say out of this is a 4/10 on the hardness scale and can be done with all hand tools. 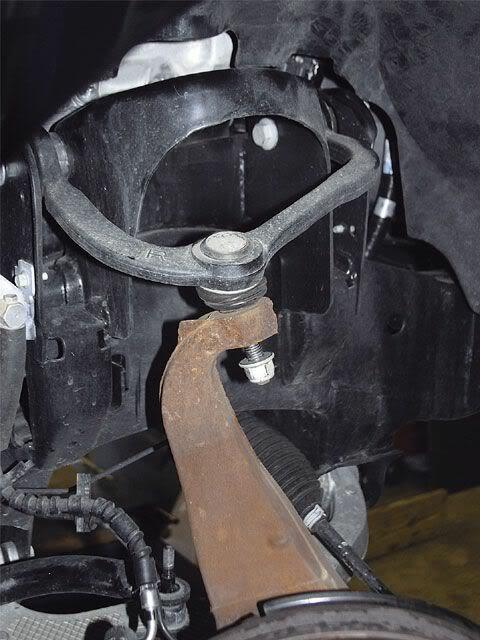 First start by jacking up one side and securing it on a jack stand and then move the jack back to the frame as a safety precaution. You could jack up the whole front end but if you are using hand tools you are going to use quite a bit of force. 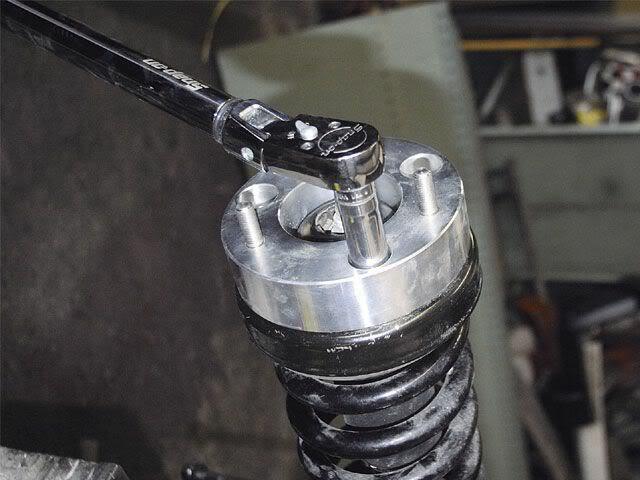 Once the rig is up in the air start by removing the tierod. Next disconnect the shock mount from the lower A-arm. This is where you need some big sockets. 1-1/16 and 1-3/16 will work. 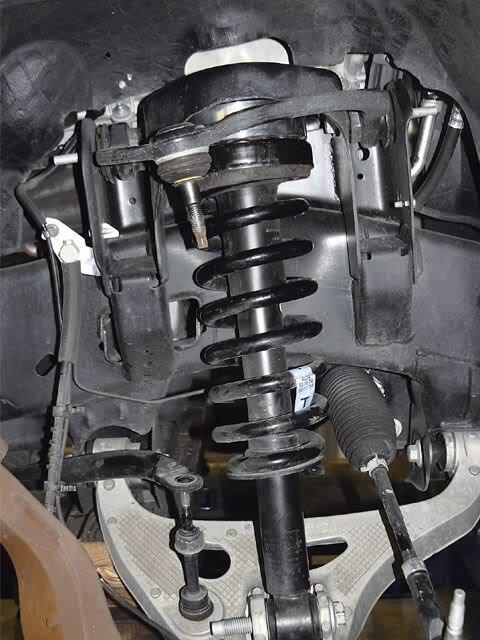 And finally remove the 3 nuts on top of the shock tower and the assembly should drop out, if not wiggle it a little bit. 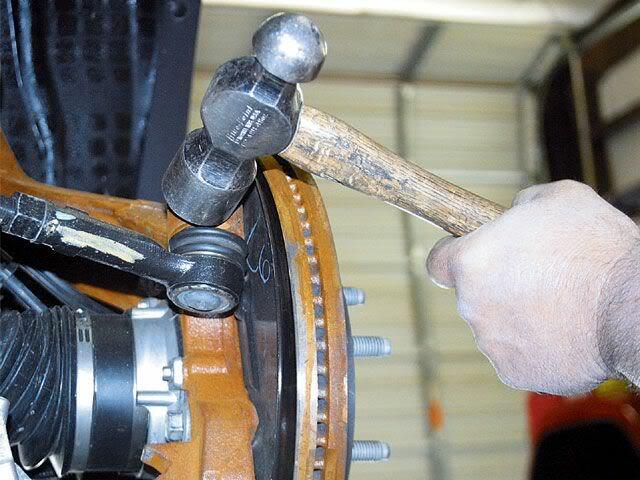 Install the spacer. 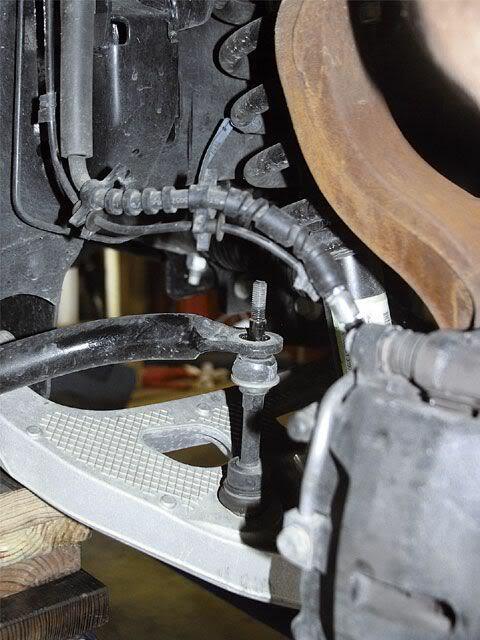 If you have a 2 piece daystar kit there is a little more work involved using spring compressors. Put the shock assembly back up and tighten up the bolts on top. Then start connecting things in the order they came off. 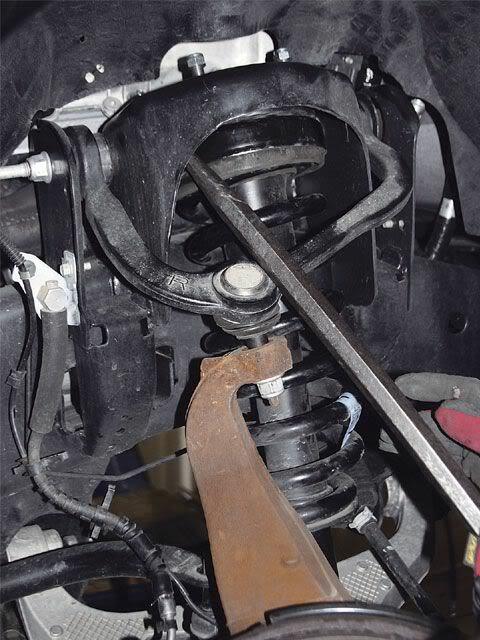 Sway bar, lower A-arm, and the upper A-arm is a bit of a trick and this is how I did it. 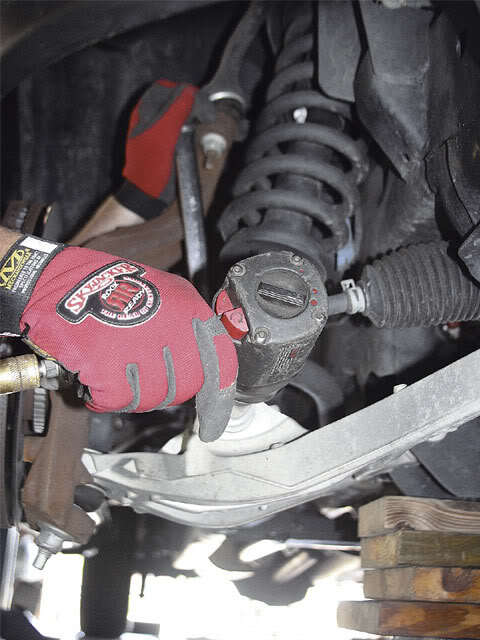 You can jack the lower A-arm up a little but not too much as to lift the rig and then pry the upper A-arm(balljoint) down into the knuckle, If your crafty enough you could use a ratchet strap to help you out if you can’t tighten the nut. 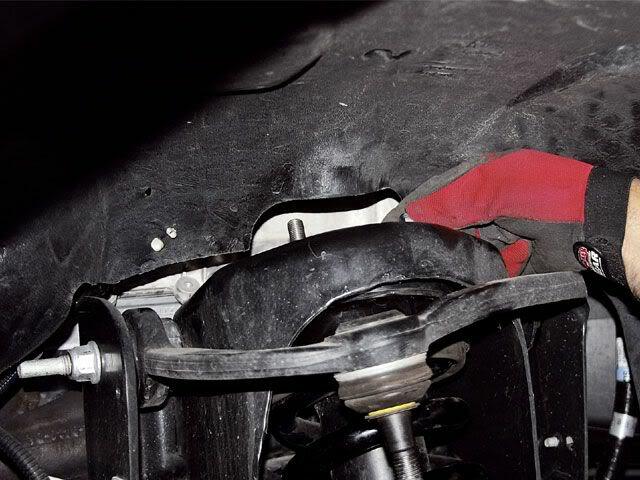 Hook up the tierrod and double check everything for tightness than replace the tire and do the other side. You’ll notice the other side will go much faster.